The Community Advisory Board serves as a liaison between the Hispanic community in the State of Arizona and Equality Health. It’s a sounding board to the company and provides recommendations on health policy and cultural care services that advance the health, social and economic well-being of the Hispanic population in Arizona. Chris Camacho serves as the President & CEO at the Greater Phoenix Economic Council, one of the longest standing public-private partnerships for economic development across the country. He previously served as the organization’s Executive Vice President. During his tenure, GPEC has led the attraction of more than 230 companies creating 38,881 jobs and $2.9 billion in capital investment. Some of the more notable projects include Apple, Silicon Valley Bank, Zenefits, GoDaddy, Yelp, Amazon, Garmin, General Motors and many others. 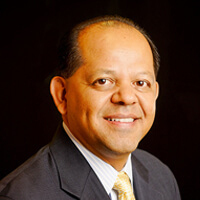 He is involved in community non-profits including Chicanos Por La Casa, and sits on the boards for the Arizona Business Education Coalition, Year Up, the Arizona Hispanic Chamber of Commerce and the Valley of the Sun United Way, as well as the International Economic Development Council and the Economic Innovation Group Policy Council. In 2016 he was appointed by the U.S. Secretary of Commerce to serve on the U.S. Investment Advisory Council, to advise the Secretary on foreign direct investment policies and strategies. 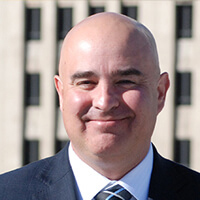 Camacho graduated from Southern Illinois University with an undergraduate degree in Psychology and a graduate degree in Public Administration and Policy Analysis. He also attended the University of Oklahoma for the Economic Development Institute. Edmundo leads Arizona State University’s comprehensive approach to community outreach, engaging both private and public-sector partnerships in an effort to improve the economic prosperity of all area residents through the power of education. Previous to his work with ASU, Edmundo served as president, CEO and COO of Chicanos Por La Causa (CPLC), a regional economic development corporation that has served the housing, education, economic, and health and human services needs of local communities for over 45 years. CPLC is the third-largest Latino non-profit in the United States, serving over 200,000 people annually. Edmundo’s dynamic leadership at CPLC has led to double-digit growth in five of their last seven years and elevated the organization into a highly-visible advocate for social and economic development, particularly in low-income Latino communities. In recognition of his work at ASU and CPLC, Edmundo has received a host of local and national honors, including Arizona Hispanic Chamber of Commerce’s “Man of the Year,” ASU’s WP Carey School of Business Alumni Hall of Fame, and Hispanic Business Magazine’s “50 Most Influential Hispanics in the Country.” He earned his BA in Economics in 1988 and received his MBA from Arizona State University in 2000. 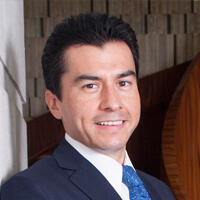 Marco A. López, Jr. is the President and CEO of Intermestic Partners, a premier government affairs and corporate strategy firm that provides strategic business development, market access and policy counsel to both international and domestic organizations. He is a member of the Council on Foreign Relations and serves as Senior Advisor to the Chairman of Grupo Carso and The Carlos Slim Foundation, and has served as U.S. advisor to presidential campaigns in Latin America on topics of national security, border trade and commerce, and economic development. Prior to founding Intermestic Partners, Marco was Chief of Staff at the United States Department of Homeland Security (DHS), Customs and Border Protection (CBP), managing an organization with a $12 billion budget and 60,000 employees. While at CBP, Marco was instrumental in developing key international partnerships that strengthened security while ensuring the efficient movement of people and goods into the United States. He counseled the Secretary of Homeland Security and the Commissioner of CBP on the implementation of new technologies, human resources, and infrastructure to secure America’s Southwest border with Mexico. Additionally, Marco supported and facilitated negotiations with eight Latin American countries to secure regional participation in an important aviation security program credited with identifying and preventing the transit of dangerous people and cargo to the Western Hemisphere. Marco worked with cabinet officials throughout the world including in Mexico, Canada, Panama, Costa Rica, Nicaragua, Honduras, El Salvador, Guatemala, Belize, Chile, South Korea, Egypt, Turkey, the United Arab Emirates, and Qatar. 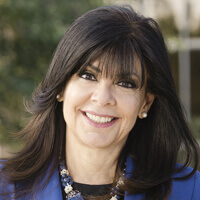 Dr. Maria Harper-Marinick is Chancellor of the Maricopa Community College District, one of the largest community college systems in the nation. She oversees operations for the system, which serves 200,000 students and nearly 10,000 faculty and staff members across 10 colleges (Chandler-Gilbert, Estrella Mountain, GateWay, Glendale, Mesa, Paradise Valley, Phoenix, Rio Salado, Scottsdale, and South Mountain), a Corporate College, and two skills centers. Chancellor Harper-Marinick has served on the Federal Advisory Committee on Student Financial Assistance by appointment of U.S. Secretary of Education, American Council on Education, American Association of Community Colleges, League for Innovation in the Community College, and Hispanic Association of Colleges and Universities. She is also an active community member in Arizona serving on the Greater Phoenix Economic Council, Greater Phoenix Leadership, Arizona Chamber of Commerce and Industry, and the Valley of the Sun United Way among others. Dr. Harper-Marinick has been the recipient of various awards and recognition, including 2017 Woman of the Year Award from Valley Leadership, 2016 Athena Award – Public Sector, 2015 Woman of the Year award from the Arizona Hispanic Chamber of Commerce. She was featured in Diverse: Issues in Higher Education as one of 25 women who have made a difference in the world by tackling some of higher education’s toughest challenges and exhibiting extraordinary leadership skills; and was selected to join the 2015-16 class of the Aspen Institute’s Ascend Fellows. 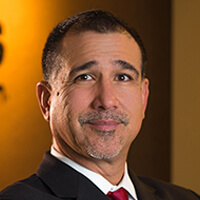 Paul Luna is President and CEO of Helios Education Foundation, an organization that is dedicated to creating opportunities for individuals in Arizona and Florida to succeed in postsecondary education. Paul is responsible for guiding the strategic direction of the organization, cultivating strong community relationships and initiating strategic partnerships in Arizona and Florida for the Foundation. 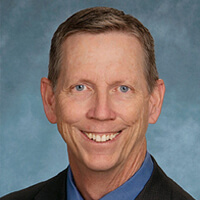 Prior to joining Helios in 2006, Paul served as President of Valley of the Sun United Way. A native of Miami, Arizona, Paul graduated from Miami High School. As a first generation college student, he attended Stanford University where he earned a degree in Civil Engineering. In addition to his role at Helios, Paul currently serves as a member of Greater Phoenix Leadership, Greater Phoenix Economic Council, the National College Access Network Board of Directors, the America’s Promise Alliance Board of Directors, the Florida College Access Network Steering Committee, the Center for the Future of Arizona Board of Directors, and the Arizona Community Foundation Board of Directors, and is the Immediate Past Chair of the Expect More Arizona Board of Directors. Tom McKinley has a broad business background in private industry involving transportation, logistics and travel/tourism. An Arizona resident since, 1989 Tom has invested in his community with leadership positions in various community focused organizations ranging from Valley of the Sun YMCA to Arizona Forward. In the past decade Tom has turned his focus towards community health, after serving nearly a decade on the board of directors of Phoenix Memorial Hospital, he took on the role of President of the Maricopa Health Foundation in support of Arizona’s only remaining county hospital. This involvement lead to being a founding board member of Meritus Health Partners, an AZ health care cooperative formed under the ACA – here he was exposed the “other side of the coin” and became very familiar with the challenges facing the payer community in addressing the alarming growth in health care cost. Tom brings a wealth of knowledge related to the provider and payer community in Arizona and been involved with several other healthcare related startups as an advisory board member. Todd Sanders is currently President and CEO of the Greater Phoenix Chamber of Commerce. Prior to assuming his current role, he represented the interests of the business community in the State Legislature as Vice President of Public Affairs for the Phoenix Chamber. 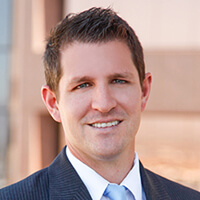 Prior to joining the Chamber, Todd served as a Policy Analyst for the Arizona House of Representatives in the areas of taxation, environment, political subdivisions and international trade. He is a native of Bogotá, Colombia and a graduate of Northern Arizona University with a Bachelor of Science in Political Science. Previous work experience also includes contract work for British Petroleum, South America. Todd serves on the Board of Directors for the following organizations: Valley of the Sun United Way, Banner Alzheimer’s Foundation, Visit Phoenix, Friends of Public Radio, the Arizona-Mexico Commission, Arizona Town Hall, Arizona Chamber Executives, Western Association of Chamber Executives, Association of Chamber of Commerce Executives, and CALA Alliance.